You don’t have to give up your favorite foods after moving to a paleo and gluten-free diet. 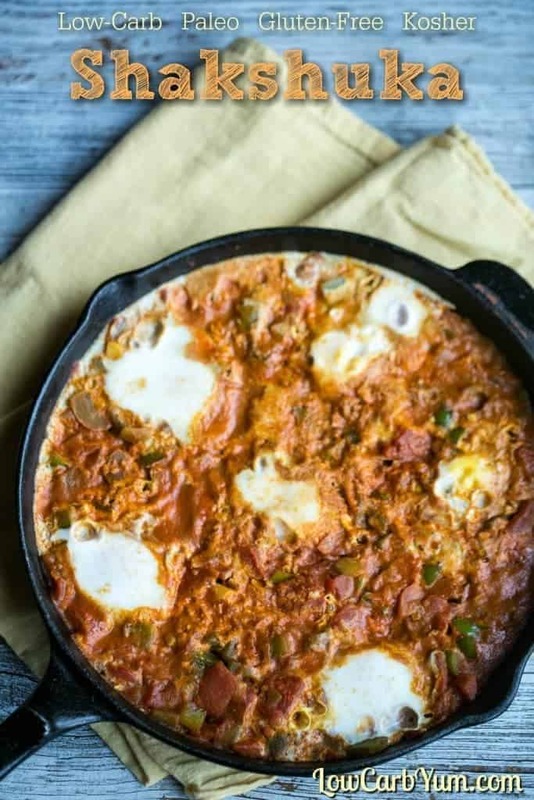 The New Yiddish Cookbook has many recipes like this Shakshuka. I love discovering new cuisines. 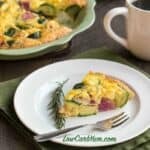 And, I’ve gotten pretty good at converting recipes to low carb as neeeded. I’ll admit that there have been some failures over the years, but we all learn from our mistakes. 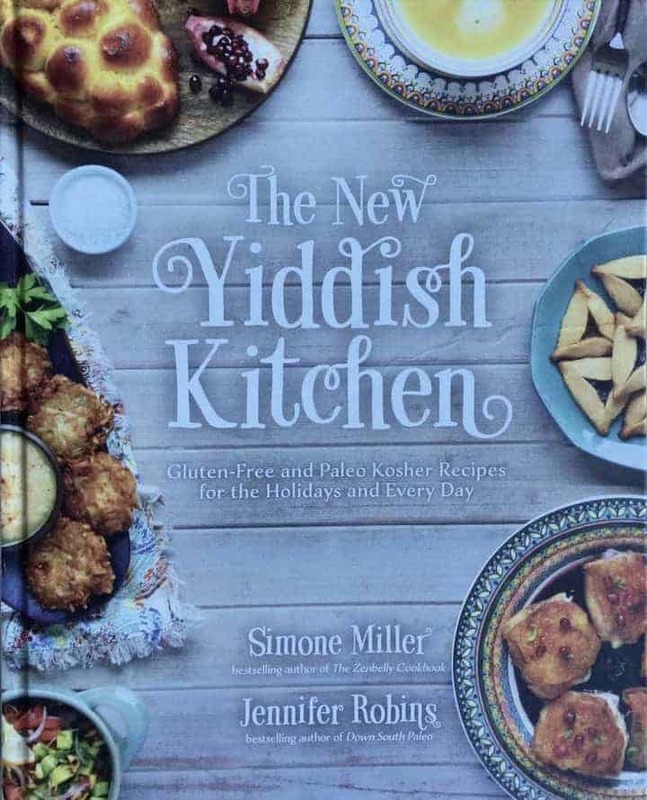 Recently, I received a copy of The New Yiddish Kitchen cookbook written by Simone Miller and Jennifer Robins. 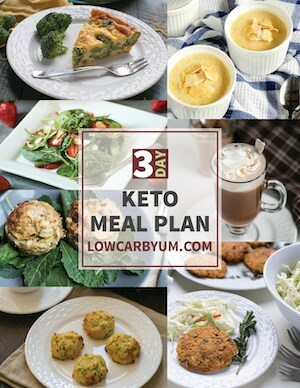 It’s full of paleo and gluten-free recipes for the holidays and every day! 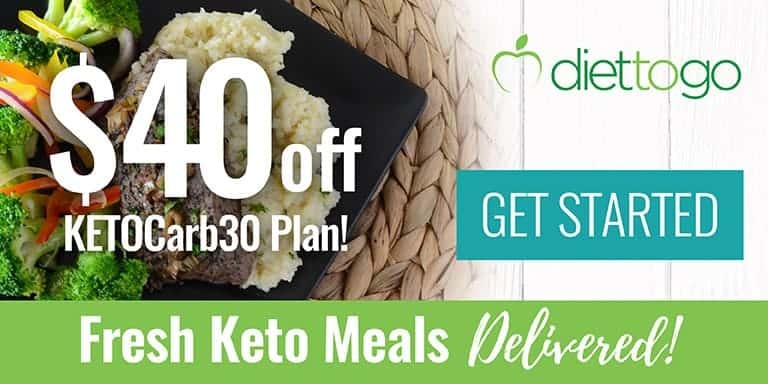 Jennifer Robins is the author of Down South Paleo. I shared Jennifer’s Slow Cooker Paleo Chili recipe in my review of the Down South Paleo cookbook. 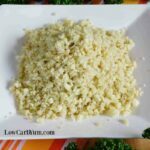 Although many of the recipes are not geared towards low carb eating, it’s really easy to sub out the higher carb ingredients. Included with the recipes are tips passed down from Jewish grandmothers. 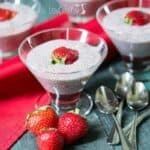 I found this cookbook full of yummy recipes that I’d like to try. 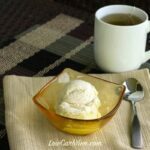 It’s fun and entertaining and all the recipes are simple and easy to follow. 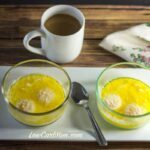 Many of the traditional Jewish recipes don’t fit in the popular Paleo and gluten-free diets of today. With this cookbook, all those favorite foods are allowed again. I’m not that familiar with many of the terms used in the cookbook because I grew up in a Catholic Filipino American family. And, there weren’t a lot of Jewish families in the area that I grew up in. So, A lot of the dishes are new to me. You don’t have to be Jewish to enjoy Yiddish food. I love eating a variety of foods from different cuisines. In fact, I’m still exploring the world of food so I was really happy to have the opportunity to check out the delicious recipes in The New Yiddish Kitchen cookbook. 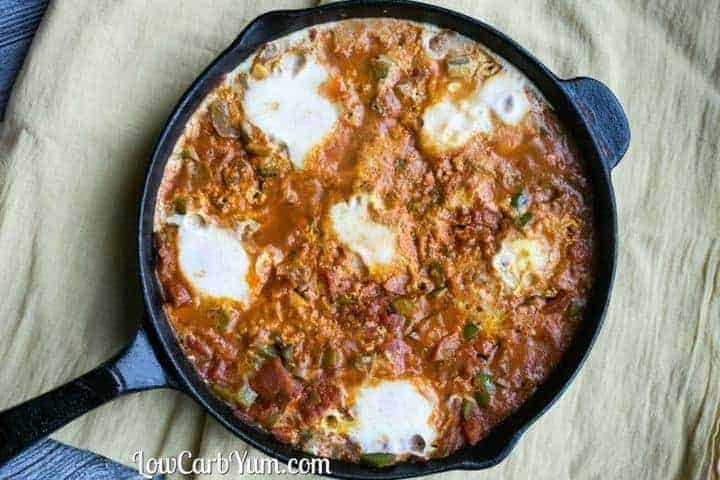 I decided to test the Shakshuka Israeli Breakfast recipe. 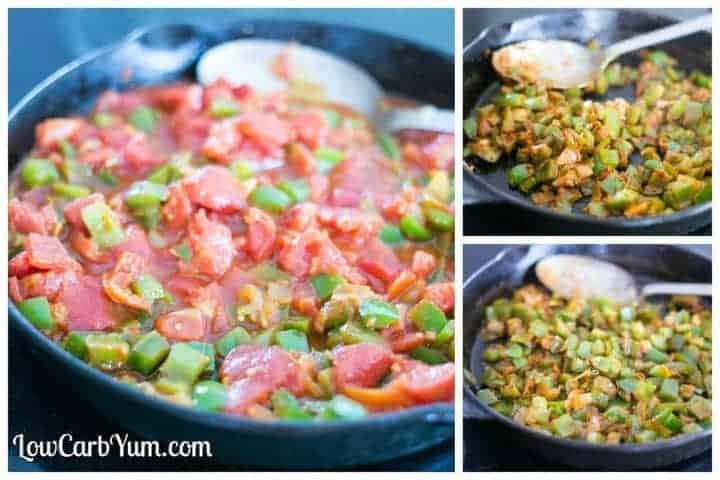 Despite the name, you can enjoy this simple tomato egg skillet recipe any time of day. I made it for lunch. 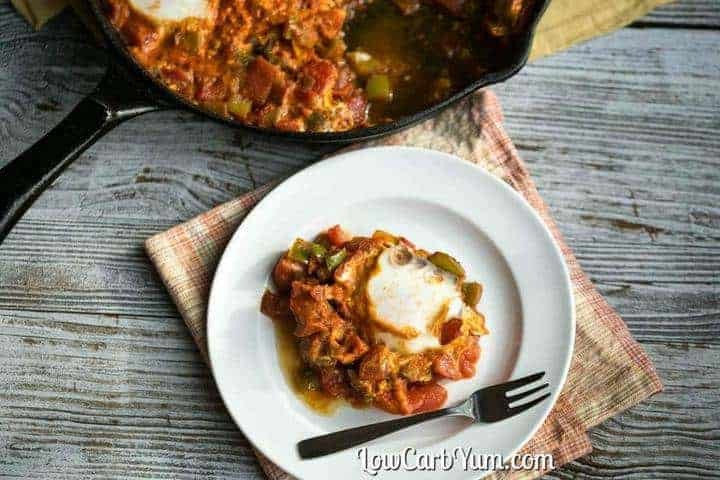 It’s a fantastic dish with eggs poached in a sauce of tomatoes, peppers, and onions with a nice spice blend. I used a whole small onion, but I might cut that down to only half to cut the carbs next time. Like most of the dishes in the cookbook, this one is super easy to prepare. 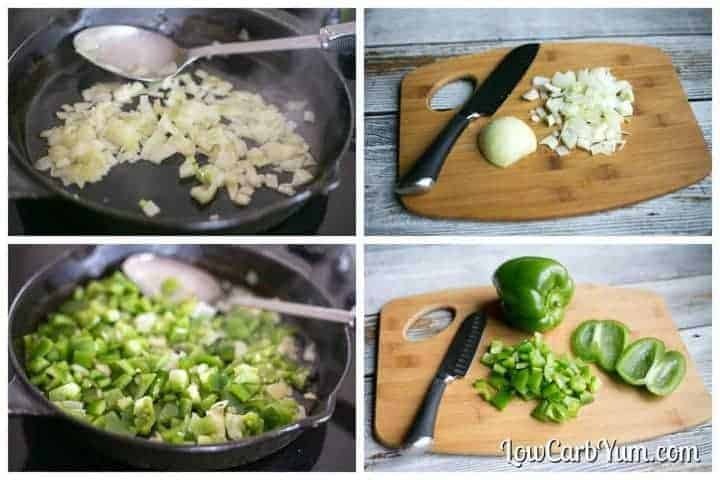 To start, you’ll want to chop up the onion and peppers and fry them up. Then, the spices are stirred in. The tomato past and diced tomatoes are used next. Either canned or fresh tomatoes can be used. 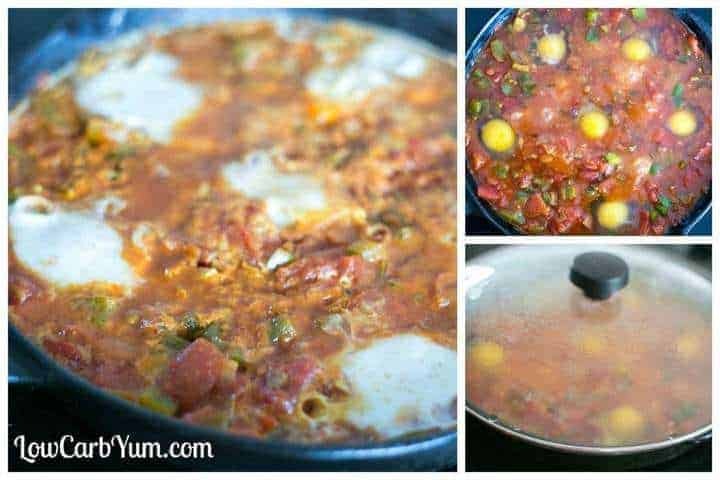 The recipe provides the amount needed depending on whether you are using fresh cut tomatoes or diced tomatoes in a can. The final step is to poach the eggs in the sauce. The recipe gives the option to poach 4-6 eggs. I used six as I got six servings from the recipe and wanted to make sure each serving had an egg. Vegetables would be a nice add to the recipe. 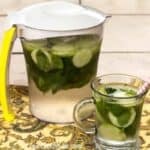 It’s suggested to throw in some fresh spinach or watercress at the end. I would have liked a bit of spinach, but I didn’t have any on hand. My shakshuka didn’t turn out as pretty as the photo in the book, but the taste was amazing. 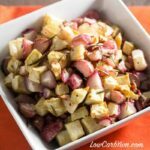 I really liked the spice blend and how easy it was to put together. You can easily make this as a weeknight dinner to share with your family. Or, enjoy it for a weekend breakfast or brunch. 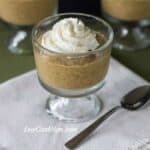 No matter which meal you choose to serve it, the recipe is a winner that I will certainly be making again. There are many other recipes in this delightful cookbook and I can’t wait to try another one. If you have Jewish friends or family that have made the move to healthier eating, this cookbook will surely be appreciated by them. 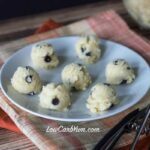 If you like this recipe, you may want to check out more recipes from Simone and Jennifer. Simone is the founder of Zenbelly which offers gluten-free and paleo catering service. She’s also the author of the Zenbelly Cookbook. You can find Jennifer on her Predominantly Paleo blog. 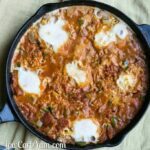 They both have some amazing paleo recipes like this Shakshuka! You don't have to give up your favorite foods after moving to a paleo and gluten-free diet. 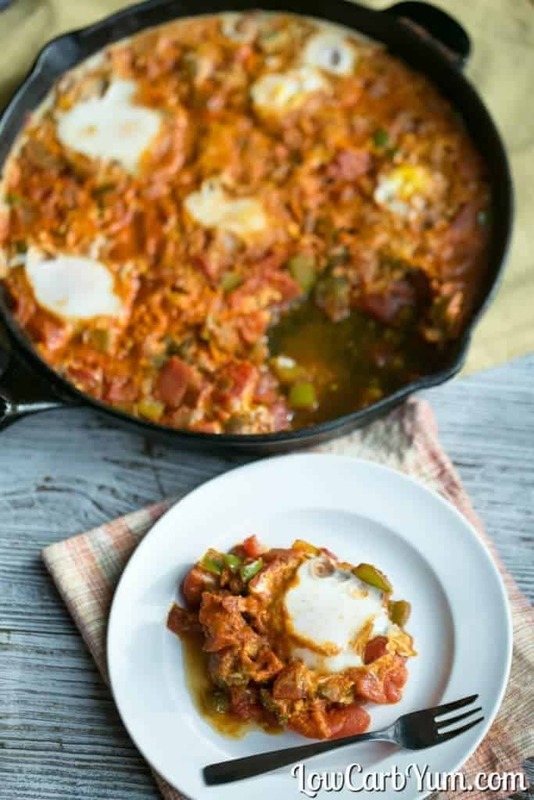 The New Yiddish Cookbook has many recipes like this Shakshuka. Heat a large skillet over medium heat and add 2 tablespoons (30ml) of the olive oil. Once shimmering, add the onions and saute for 8-10 minutes, stirring ocationally, until they are golden brown and softened. Add the garlic and peppers and saute for another 3-4 minutes, until the garlic is golden brown. Add the spices and stir constantly for a minute, or until very fragrant, being careful not to let them burn. Add the tomato paste and stir into the vegetables, cooking until it's a brick red color, about 30 seconds to 1 minute. Add the salt and diced tomatoes and sitr, scraping up any browned bits that have stuck to the bottom. Bring to a simmer and cook for 10 minutes, stirring occasionally. Turn off the heat and make four to six indentations in the sauce and crack the eggs into them. Turn the heat back on so it's at a gentle simmer and allow the eggs to cook for 8 minutes. Cover and cook for an additional 3-5 minutes, or until the eggs are cooked to your liking. Drizzle with the remaining olive oil. Serve with a salad on the side or throw in a handful of spinach or watercress during the last 10 minutes, before adding the eggs. 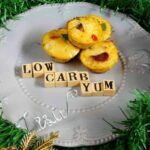 7.4g net carbs per serving.